Every Monday I offer posts on women's financial health and business Today, we're focusing on companies that give women eqial opportunities and equal salary. There's no secret that there's a pay gap in this country. I'd like to bring an end to the pay gap by doing what I do best, offering women opportunities and educating them on financial wealth and business. Some companies value the work of a woman and are willing to pay women the right salary for it. 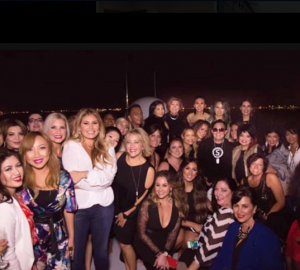 Female-friendly companies are changing the game, and Market America is right at the forefront. According to Forbes, Principal Finance Group of Des Moines, Iowa has over 9,000 employees and 59% of them are women. While benefits such as flexible work schedules, prenatal care programs and an onsite childcare center help Principal Financial attract female employees, it’s the company’s commitment to equality that retains them. Facebook employs over 10,000 people, and according to InHerSight, it's one of 20 companies where women are satisfied with their pay! One woman wrote in a review of the company, "the company overall is amazing. Great pay, benefits, office decor, and diversity. " Procore Technologies, a computer software company in California is trying to bring diversity and equal opportunity to the forefront. They seemed to be focused on their goals which are Openness, Ownership, and Optimism. They especially stay true to the idea of openness by gaining feedback from employees and reward top talent—including women. Chronicle Books is all about equal opportunity. The company is known for unique or higher quality books, so they're open to creativity and diversity. This is a workplace that is over 70% female with women in the key positions of President, VP of Sales and Marketing, Publisher and Editorial Director. When the executive team has some women in its ranks, you know it's a company you can trust as a woman. Market America|SHOP.COM offers equal opportunity to everyone whether you're on the Unfranchise side or the corporate side. 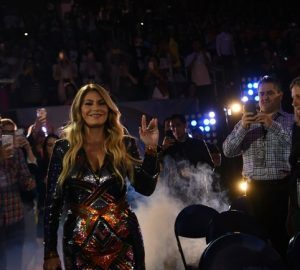 As one of the founders of Market America, I made sure that we make a company where the atmosphere is as female-friendly as possible. We offer everyone the same opportunities along with a business plan that works. We're here for you, ladies!